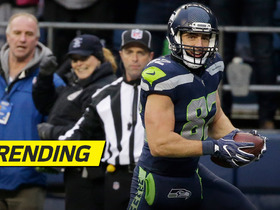 Analysis: With Jared Cook leaving for New Orleans, the Raiders will bring in Willson to reinforce their tight end corps. 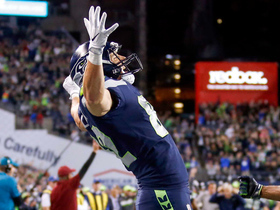 Willson was serviceable for the Seahawks with 11 touchdowns in five seasons, but he had just 13 catches for 87 yards and zero scores for the Lions in 2018. He'll battle veteran Lee Smith for the No. 1 role in Oakland, but fantasy owners shouldn't be picking up either player anytime soon. Willson (concussion) caught 13 passes for 87 yards and no touchdowns over 14 games for the Lions in 2018. Willson (concussion) is ruled out for Sunday's game against the Packers, Michael Rothstein of ESPN.com reports. Analysis: Willson sustained a concussion during last week's loss to the Vikings and will not clear the league-mandated protocol in time to suit up Week 17. The sixth-year pro has 13 receptions for 87 yards on the season. Willson (concussion) did not participate in Wednesday's practice. Analysis: Willson never returned to last Sunday's game against the Vikings after exiting to be evaluated for a head injury. His absence from Wednesday's practice suggests he remains under the concussion protocol. If he isn't able to return to practice Thursday or Friday, Willson's 2018 campaign is likely in the books. Willson exited late in the first half of Sunday's game against the Vikings to be evaluated for a concussion, Dave Birkett of the Detroit Free Press reports. Analysis: The Lions should provide an update on Willson's availability -- or lack thereof -- for the rest of the game shortly after halftime concludes. As per usual, the tight end didn't see any involvement in the passing game prior to departing. Willson logged 24 offensive snaps during Sunday's 14-13 loss to the Bills but didn't draw a target. 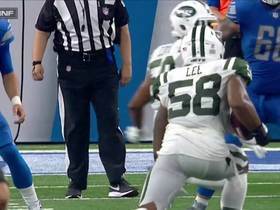 Analysis: The Lions have experimented with Willson at fullback in recent weeks with Nick Bellore (ankle) injured, but offensive guard Joe Dahl seems to have emerged as the preferred replacement at the position. Willson is thus slated to finish the 2018 campaign in a blocking-oriented backup role behind starting tight end Levine Toilolo. Willson was not targeted in the passing game during Sunday's 17-3 victory over Arizona. Analysis: Willson played on just 35 percent of the offensive snaps, compared to 80 percent for Levine Toilolo and 15 percent for Michael Roberts. With no more than 21 receiving yards in any of 13 games in 2018 and no touchdowns to his name, Willson isn't worth any consideration in any fantasy format. 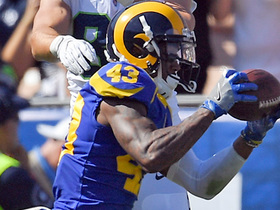 Willson caught one of two targets for eight yards during Sunday's loss to the Rams. Analysis: With Nick Bellore (ankle) sidelined, Willson and Joe Dahl split responsibilities at fullback. Willson remained a minuscule part of the passing offense in this role while watching Levine Toilolo bust out for six receptions and 90 receiving yards. It's impossible to trust him as a fantasy option in Week 14 against Arizona. Willson caught one pass for four yards during Thursday's 23-16 loss to Chicago. Analysis: Time and time again, it's clear Willson isn't a critical part of Detroit's offensive game plan, which was particularly discouraging with both Marvin Jones (knee) and Kerryon Johnson (knee) sidelined. The tight end is nothing more than a touchdown-dependent fantasy option entering a potentially high-scoring affair with the Rams in Week 13. Willson was targeted once but did not record a catch during Sunday's 20-19 win over the Panthers. Analysis: Coming off his best stretch of the year, during which he caught seven passes in three games, Willson was held without a catch for the third time this season. The veteran tight end has not been effective in the passing game and is less valuable from a fantasy perspective than backup Michael Roberts, who missed Sunday's game with a shoulder injury. Thursday brings a Chicago defense that has harassed opposing passing offenses all season. Willson (shoulder) doesn't carry an injury designation ahead of Sunday's matchup with the Panthers. Analysis: Willson logged limited practices Wednesday and Thursday and ended the week with a full practice Friday. The 28-year-old's return from a one-game absence comes at an opportune time for the Lions with fellow tight end Michael Roberts (shoulder) unavailable Sunday. Willson has logged at least 30 offensive snaps in each of his last four games and should extend that streak in Week 11. Willson (shoulder) was a limited participant at Thursday's practice. Willson (shoulder) is listed as inactive Sunday in Chicago. Analysis: Willson was limited at practice by a shoulder injury in advance of this game, which oftentimes isn't enough to warrant an absence on gameday. He's bucked that trend, though, giving second-year TE Michael Roberts a chance to take on a larger role in the Lions offense. On the season, Roberts has hauled in five of nine passes for 75 yards and three touchdowns in five contests. Willson (shoulder) is listed as questionable for Sunday's game in Chicago. Analysis: The Lions' most-prominent TE addition in the offseason, Willson has proceeded to earn the most snaps in the group this season. The trend has continued since the team's Week 6 bye, but second-year pro Michael Roberts has been getting more involved in the offense over the last three games. If Willson is unable to go this weekend, Roberts and (to a lesser extent) Levine Toilolo will be the Lions' acting tight ends. Willson (shoulder) was a limited participant in Thursday's practice, Tim Twentyman of the Lions' official site reports. Analysis: Though Willson is seemingly less than fully healthy after back-to-back limited practices, his involvement in any capacity this early in the week bodes well for his odds of suiting up Sunday against the Bears. Willson should retain his starting role if cleared to play, but he may not be guaranteed an overwhelming share of the playing time at tight end. Backup Michael Roberts actually earned more work than Willson in the Week 9 loss to Minnesota, logging 36 offensive snaps to the latter's 34. Willson was a limited participant at Wednesday's practice due to a shoulder issue, Tim Twentyman of the Lions' official site reports. Analysis: This marks Willson's first appearance on the injury report since the preseason. While there doesn't seem to be any immediate concern over Willson's availability for Sunday's showdown against Chicago, Michael Roberts would presumably serve as Detroit's preferred pass-catching tight end if the former's health takes a turn for the worse in the next few days. Willson caught two passes for 17 yards during Sunday's 24-9 loss to the Vikings. Analysis: Willson, who entered the game averaging 1.9 targets per game, continues to serve in a minor role for the Vikings and there's been no indication that will change anytime soon. 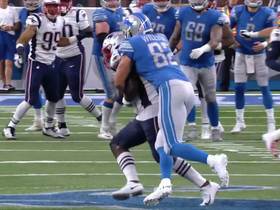 New England Patriots linebacker Ja'Whaun Bentley anticipates Stafford's pass and comes up with big interception. Seattle Seahawks quarterback Russell Wilson fires to tight end Luke Wilson who drops the ball. 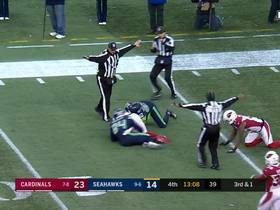 Seattle Seahawks quarterback Russell Wilson finds tight end Luke Wilson for 26-yard touchdown. 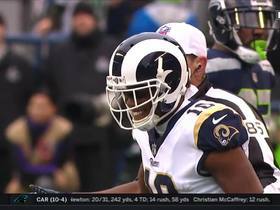 Los Angeles Rams wide receiver Pharoh Cooper has another incredible punt return for 26 yards. 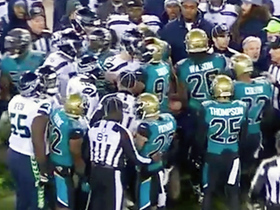 The Seattle Seahawks and Jacksonville Jaguars get chippy late after a kickoff return. 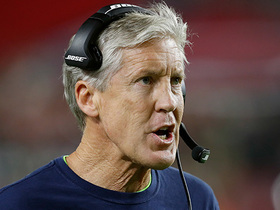 Seahawks' fake field goal backfires in the worst way possible. 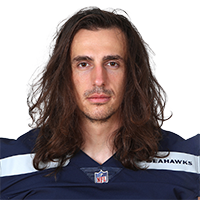 Seattle Seahawks tight end Luke Willson breaks a tackle and scores a 10-yard TD on a pass from quarterback Russell Wilson. 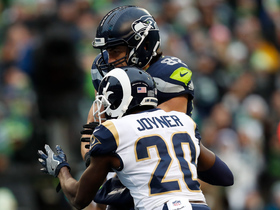 Los Angeles Rams safety John Johnson picks off Russell Wilson for his first-career interception. Seattle Seahawks quarterback Russell Wilson throws to tight end Luke Willson for a 6-yard touchdown against the Indianapolis Colts.